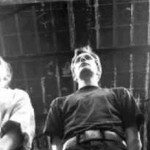 Background/Info: Alexandr Krivoruko aka Alex Mental is the artist behind the Russian band Mental Discipline. 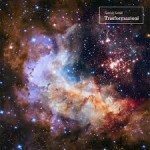 I discovered this band on the debut album “Constellation” (2012), which had a great impact on me. The band released a few EP’s as well and is now ready to confirm its high electro-pop potential with this new full length. It looks more like an EP instead of an album because of the many remixes and no real new songs. Content: A few songs have been previously released at EP’s and digital productions while other familiar songs have been remixed by an interesting list of bands featuring Assemblage 23, Mind.In.A.Box, Ginger Snap5 and [:SITD:] as most the famous names. Tess Fries (Dual Density) has been featured on two songs while another track features Pulcher Femina (remixed by [:SITD:] ) and another one !Distain. The hard dance-pop style of the Russian formation comes rapidly through. It’s an ultra danceable production merged with efficient and fully carrying leads. But Mental Discipline also deals with a few softer and beautiful songs. The multiple remixes inject some diversity in the tracklist, sometimes seriously transposing the original versions into a more personal format. Paralyzed did a great job, but I especially have to mention Mind.In.A.Box achieving an amazing remix of “Precious Paradise”. I also –and quite logically, have to mention the great remixing skills of Assemblage 23. Some of the best cuts however remain the ones featuring the powerful vocals of Tess Fries. + + + : “Precious Paradise” features some beautiful ‘rare’ songs or simply songs you’ve missed if you’re not familiar with the entire discography of this band. This is why this album is fully recommended. I enjoyed the mix of dance- and future-pop, but still a few more evasive songs. There are a few great remixes featured and I especially want to mention the delicate work of Paralyzed, which reminds me a bit of Wolfsheim. – – – : It’s just a pity the album has nothing that new to offer. The danceable aspect of the work also is an element that might took traditional pop lovers away. It injects a kind of commercial element, which is not that inventive. Conclusion: If you like dance-pop music this is for sure a band that will fulfill all your expectations. 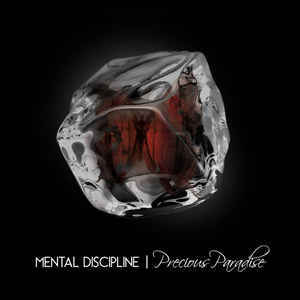 Mental Discipline for sure is one of the hottest Russian electronic bands in the past few years. Best songs: Precious Paradise – Mind.In.A.Box Remix”, “Over Horizon feat. Pulcher Femina – Paralyzed Remix”, “We Are No Machines feat. Tess Fries”, “Until The End”, “Pray For Me feat. !Distain – Island Chord Remix”, “Fall To Pieces”.